There are lots of reasons you might need to rent a dumpster, but unless you own a construction company chances are good that you don’t do it too often. Usually we take dumpsters for granted and don’t think about where our trash goes. But when you have a special project such as a home renovation, big cleanup project, new construction or even yard work, you may find that you need to get your own roll-off dumpster to handle Recycle, MSW or Construction debris. Dumpsters come in all different sizes throughout Philadelphia, PA. The key is to get one large enough to handle all of your waste, but not so big that you pay for more than you need. This is always going to involve a rough guess on your part, but there are rules of thumb to make that guess an accurate one. Here’s an easy guide to help you choose a dumpster that will work for you. We make your life easier by providing you all the information you may need when selecting the size dumpster for your project. Another easy way to choose the right size dumpster is to get opinions. If you are doing a construction project, do you know a contractor? If so, ask them what size dumpster they think will be needed. They do this all the time and will often be able to give you a very precise evaluation. 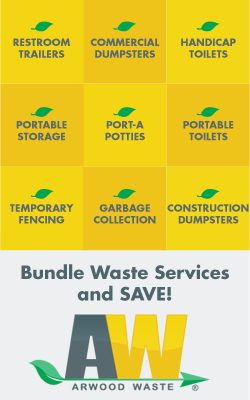 You can also just call 267-519-1870 and we would be glad to help you with the dumpster renting process. We have dealt with every imaginable kind of project and they know what will fit in each size dumpster. Some of our trucks cannot pick up an over-loaded dumpster, so it’s important to get the right size.